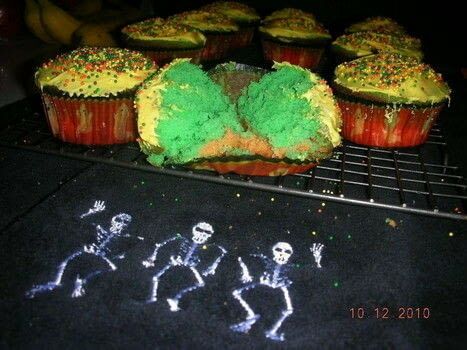 A fun Halloween version of my favorite cupcakes! I use the Yellow Cake recipe from my fave Better Homes and Gardens cookbook; added orange and green food coloring and used ghost cupcake liners! Happy Fall/Halloween!